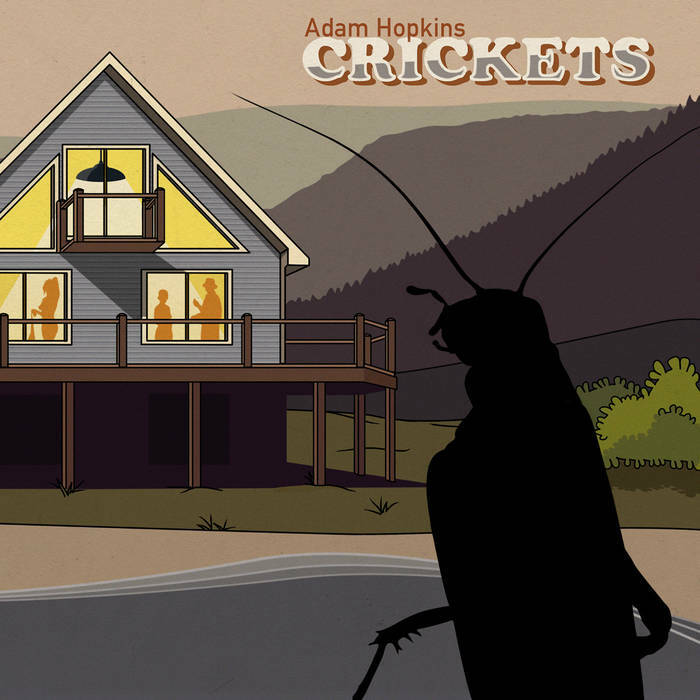 New York bassist Adam Hopkins offers Crickets as his first release in the role of leader, as well as the first release on his new label, Out of Your Head Records. As is increasingly common, the lineup is a supergroup of sorts, with Anna Webber, Ed Rosenberg, and Josh Sinton on saxophones, Jonathan Goldberger on guitar, and Devin Gray on drums. But what is uncommon about this release is Hopkins’ blend of free jazz, fusion, and rock stylings. The triple sax approach provides each track with a thick central focus, even when Webber, Rosenberg, and Sinton break apart into formless diversions. A prime example of this approach is Crickets / Crime of the Year, which begins with a string / sax interlude that would be in place in a modern classical piece. Hopkins, Goldberger, and Gray then lay down a complex rock-oriented rhythm over which the saxes alternate between joining together in angular melodies and splitting apart into individual wailings. A similar mix of composition and improvisation can be found on Mudball, as well as I Think the Duck was Fine – modern jazz with an aggressive guitar-oriented underpinning. The closest recent comparison that comes to mind in Dan Phillips’ Chicago Edge Ensemble, though there is no connection that I am aware of between these groups aside from compelling and unconventional jazz compositions juxtaposed with blowouts. This is a singular release and hopefully the first of many from Hopkins.